You can grab TP-Link's Archer C5400 gaming router for $168 among many other deals. Whether you need a new router or want to make your home a touch smarter, today’s a good day to head over to Amazon. The online retailer is throwing a huge one-day sale on TP-Link productsRemove non-product link, including routers, no-hub smart home devices, Wi-Fi extenders, mesh Wi-Fi systems, and other networking gear like switches and powerline ethernet adapters. The sale ends just before midnight Wednesday evening Pacific time. We sifted through all 30 deals to highlight our top three picks from the sale. First up is the TP-Link Archer C5400 tri-band smart gaming router for $168, complete with integrated anti-virus and beamforming. This 802.11ac Wi-Fi router usually sells between $210 to $238 depending on the day so this is quite the deal. 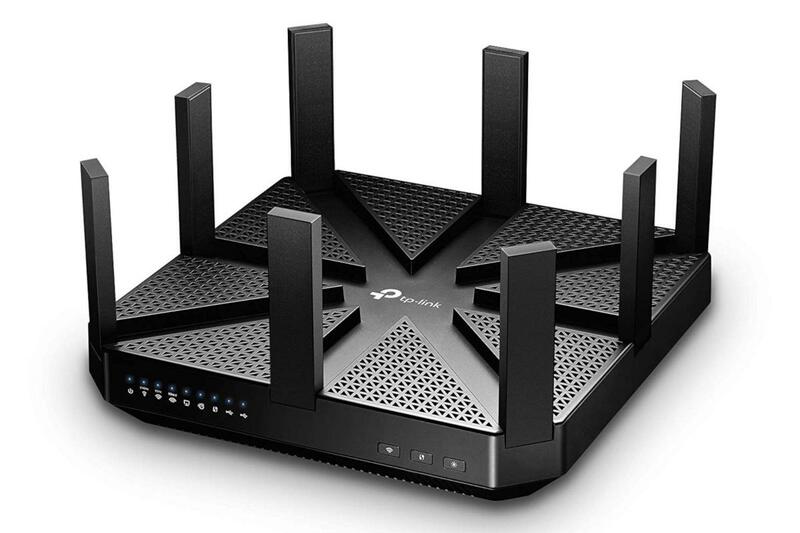 The company says this router has been “battle tested” to let you stream 4K video in the living room while simultaneously doing battle online with games like Fortnite. Next, we like the looks of the TP-Link AV1200 Powerline ethernet adapter kit for $44, which usually sells for $70. Powerline ethernet adapters extend your home network via your house’s power system. This package is exclusively for ethernet, not Wi-Fi. Nevertheless, they’re a great option if you have a gaming PC or set-top box that’s far away from the router and needs a little extra “oomph” in connection speed. Finally, there’s a great deal on a Kasa Smart Wi-Fi light switch three-way kit for $40 instead of its typical $55 to $60. This is the all-time low for this package, which packs two smart switches to replace not-so-smart three-way switches. It requires only a Wi-Fi connection, with all set-up happening via your smartphone and TP-Link’s Kasa app—no pricey extra hub needed. It also works with Alexa, Google Assistant, and Cortana. TP-Link warns that this kit requires a neutral wire and will only work in a single-pole setup. There are over two dozen more juicy deals where these came from, though. Check out Amazon’s huge one-day TP-Link saleRemove non-product link for more.